Coal production has dropped dramatically this past decade. Wind, solar and hydroelectric energy accounted for 16 percent of power production during President Trump’s first year in office, up from 13 percent in 2016 and nearly double the level when Barack Obama became president in 2009, according to a Natural Resources Defense Council analysis. 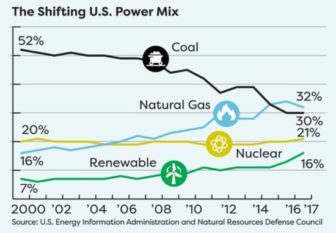 Coal, which generated more than half of U.S. electricity in 2000, produced 30 percent last year, about the same as the year before. According to government projections, by 2035 renewable sources will outstrip coal in electric power generation. In his election campaign and since taking office, Trump has called for a coal comeback. “We have ended the war on American energy – and we have ended the war on beautiful, clean coal,” he declared in late January in his State of the Union speech. A week earlier, Trump carried through with a threat to impose 30 percent tariffs on solar cell imports. The administration also has started moving to repeal the U.S. Clean Power Plan, which is designed to cut carbon dioxide emitted by power generators. Analysts say the impact of those moves will be softened by market forces and state government actions. “A lot of the reductions in emissions that we’ve seen over the last five years or so are due to state policies, but most important is the cheap price of natural gas and the rapidly falling cost of renewables,” said Raymond Kopp, an energy and climate specialist at Resources for the Future, a Washington-based think tank. 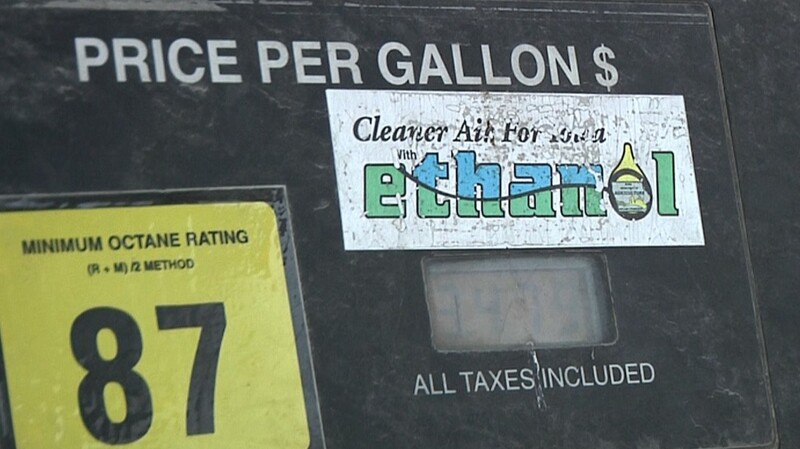 Twenty-nine states have adopted standards requiring utilities to meet targets for increased reliance on renewable fuels. California, for example, plans to get at least 33 percent of its power from renewable sources by 2020, 40 percent by 2024 and 50 percent by 2030. Iowa and Texas require specific amounts of renewable energy capacity. Iowa’s 1983 Alternative Energy Law requires 105 megawatts of generating capacity for the state’s two investor-owned utilities, Alliant Energy and Mid-American Energy. Moreover, the nation’s coal-powered electric plants are aging and increasingly being shuttered. According to the U.S. Energy Information Administration, the number of operating coal plants declined from 616 in 2006 to 381 in 2016. In the first year of the Trump administration, nearly 30 more of the remaining coal plants were retired. 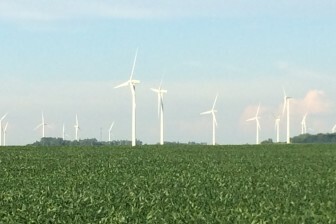 Wind turbines near Joice, in northern Iowa, produce a non-fossil fuel. File photo. In a sign of the times, employment in the solar industry now dwarf jobs in the coal industry. Coal industry jobs actually increased about 1,000 nationwide in 2017, to roughly 52,000, according to federal Mine Safety and Health Administration data. Meanwhile, despite a small dip in 2017, solar jobs totaled 250,271, according to The Solar Foundation, a nonprofit that promotes solar technologies. The NRDC said the U.S. should generate at least 80 percent of its electricity from renewable resources by 2050 to achieve the goals of the Paris climate accord, but the latest government forecast projects that the nation will be only at the 40 percent level by then. Last year, Trump announced plans to pull the United States out of the global agreement, which is intended to combat global warming by cutting greenhouse gas emissions. This story was reported by FairWarning, a nonprofit news organization based in Pasadena, California, that focuses on public health, consumer and environmental issues. Fairwarning is a member of the Institute for Nonprofit News, of which IowaWatch also is a member. Iowa’s wind energy producers and manufacturers are scrambling to finance new projects in the next two months because they don’t know if the Federal Renewable Electricity Production Tax Credit they rely on heavily will be available after then.